Kuovi is a family company founded by Pekka and Tanja Kaipiainen, the heir of Birger Kaipiainen, to foster and develop the rich and colorful cultural heritage of Birger Kaipiainen. Avainlippu and Design from Finland are recognitions of Kuovi's high degree of domestic origin. All our products are designed, fabrics are printed and all the sewing is done in Finland. Currently there is no Finnish producer of fabrics suitable to our products and therefore the country origin of our main fabric certified 100% cotton sateen is Peru and Lithuania for our 100% flax/linen fabric. Otherwise we use domestic suppliers for instance curtain accessories are supplied by Anja Pesola Ltd., inner cushions by Lennol Ltd. and mailing supplies by PakkausÖhman. Finnish origin is important to and we want to support Finnish work. 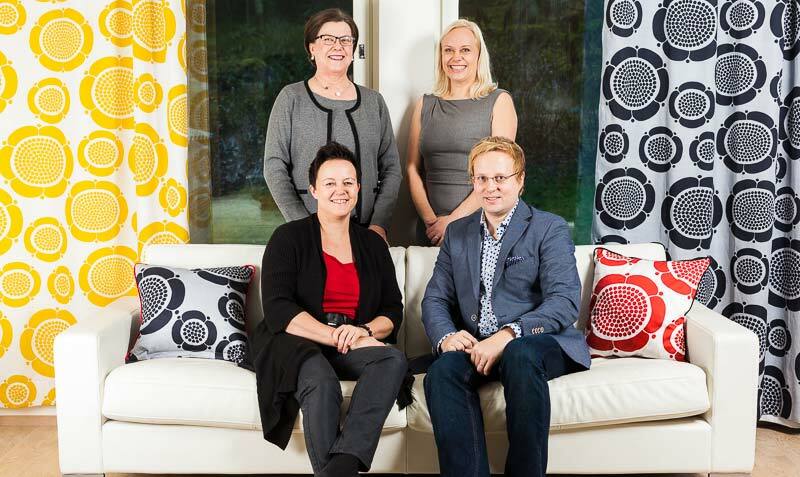 By purchasing a Kuovi product you can also support Finnish textile industry.